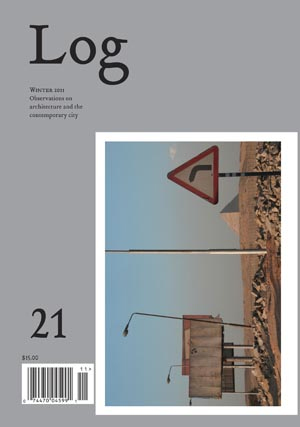 The Winter 2011 issue of Log features a tug-of-war of ideas and compelling reflections on where architecture might go, running across time from preservation to parametricism, with insightful entries from around the globe in between. Is parametricism the next great style after modernism or is our understanding of progress misguided altogether? Will preservation make its march around the world faster than the parametric Pied Piper? Leading voices chart new courses for form, note the blistering speed of preservation globally (with some doubts about its authenticity), dispel some myths, and tell true stories of names, weight, and archives. Ingeborg M. Rocker, Apropos Parametricism: If, In What Style Should We Build? 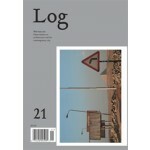 Plus: On a Log . . . On a Bottled Ship . . . On an Island . . . On Konrad . . . On Images . . . On a Kitchen . . . On Google .